Freehold vs Leasehold. What is the difference the between them? Freehold and Leasehold. 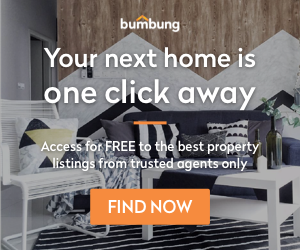 Which one should you go for when buying a property? Ever heard the term leasehold and freehold while you are browsing for properties? Did you wonder on what’s the difference between them? Did you know that for the property transaction, Malaysia uses the Torren system to certify the ownership of the property? It is a system for registration of ownership through title and it records all the transaction involving dealings and interest. In this certificate of title that contains the details of the land along with the information on whether the property is a leasehold or a freehold property. Freehold Properties. The benefits and the drawbacks. A freehold property is a property that is disposed to the owner in perpetuity by the state. In other words, a plot of land is set aside by the government and is given indefinitely to an individual. Type of property that can be associated with freehold are condominiums, private housing, and bungalows. The most notable perk of purchasing a freehold property is that there will be fewer regulations and conditions should the owner like to transfer the ownership of the property. The owner also has the right to subdivide and allocate the land but it is subjected to the town planning controls. One of the drawbacks of having a freehold property is that for public purposes (transportation, economic development etc) the state has the authority to take back the freehold land but it will be compensated. This is stated in the Land Acquisition Act 1960. But if there is no upcoming development on the land, the state cannot claim the land from the owner. In some cases, a number of freehold properties need consent from the state if a transfer of ownership is to be done as it were originally leasehold that was converted to freehold. Leasehold, on the other hand, is the state’s government property or land that is being leased with a fixed amount of years to the public. The years could be varied within the range 30, 60, 99 or it can be up to 999 years. The ownership of the property will then be given back to that government upon the expiration of the lease. If the owner decided to renew or extend the lease, consent must be obtained from the state government with a premium that is based on the percentage of a similar freehold property market value. The restrictions and regulation are usually stated in the lease itself. Inability to follow through this compliance might cause the tenant to be declared as unfit and the security for the tenure might be compromised. In order for one to sell a leasehold property, you need to get the consent from the state before starting the sale that could take up to 6 months or maybe even a year. 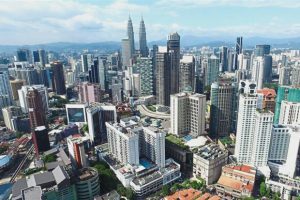 For cases like purchasing a secondhand leasehold property in Selangor and Kuala Lumpur, the paperwork for the ownership transfer might take up to a year or more dependent on the number of consent requests. Even though the value of a leasehold property has more value than a freehold property during its earlier years, once it reaches 30 years, the value will remain static or even declining until it reaches its expiry. From a financial perspective, it is harder to get a loan if you are looking to purchase a leasehold property with less than 50 years remaining on the lease. Banks usually only cater to lenders who are applying for a property with at least 75 years remaining on the lease. You might have to allocate a little bit more cash on the down payment if your application does get through with less than 50 years as the loan amount will be lesser than 90%. The final decision on whether one should go for a freehold or a leasehold property is dependent on the person’s perspective. This is where housing affordability and how one balances the pros and cons between the two comes into play. If you prefer to own a property with a bigger sense of ownership then you should go for a freehold property, but if one is opting for a cheaper option, then a leasehold property is the route to go to as it is usually 20% cheaper than a freehold property with more amenities and convenience provided by the developer.